Hi, I'm Christina Dale, the owner/photographer at Phyxius Photos. Phyxius is a greek word pronounced fix-EE-us and it means "putting to flight". 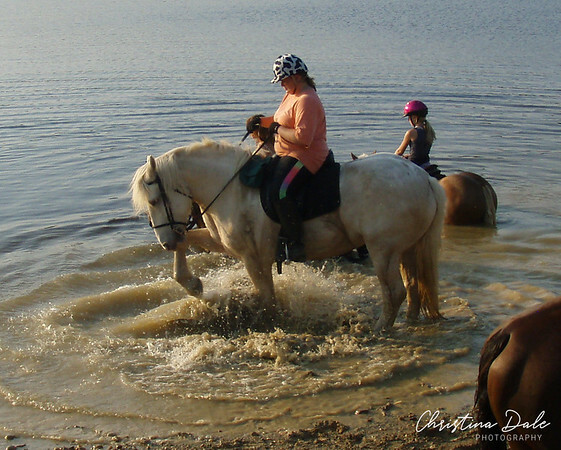 I first used the name Phyxius when I became a certified Equine Sports Massage Therapist (ESMT). I thought it was fitting for all equine athletes and as you can see by my logo I still like to think of horses as mystical creatures. I've always enjoyed horses, travel and photography and I have been lucky enough to have the opportunity to combine all three. 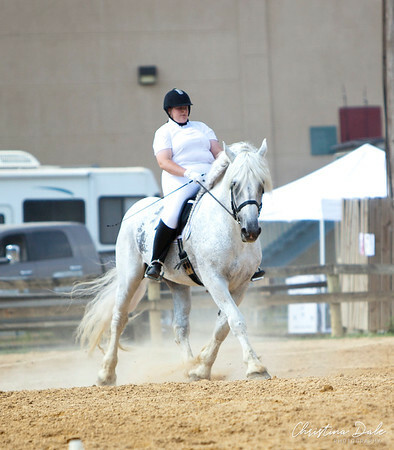 I'm on the Board of Directors for the Potomac Valley Dressage Association, a Region 1 GMO of the United States Dressage Federation, and the secretary of the Calvert Chapter. To the left is my 17.2h registered Percheron stallion "Shine Hill Peanut" known to all as simply "Peanut". I purchased Peanut 11 years ago from a lovely lady in Mississippi named Dani. He was originally used as a logging horse but, was started undersaddle by Dani. Peanut and I travel at least once a week to ride in clinics, compete at shows, show off in exhibitions or hack out on trails. Peanut also went through inspection and is certified and nominated with the American Warmblood Society so, his crossbred foals can be registered with the AWS. Gabe, also known as Gallant Laddie is an 18h 2005 Clydesdale x TB gelding. Gabe quickly becomes a favorite for new visitors. He's like a giant puppy in a horse body. I found Gabe in Virginia where he was 1st, 2nd and 3rd flight foxhunter in the Deep Run Hunt. Gabe's love of jumping convinced me to compete again at the Marlborough Horse Trials. We've also join OPRC and can be found doing obstacle challenges and drill team! You might see us out on the trails, feel free to say hi! I also own an American Cream Draft mare named Octavia. Octavia is originally from Texas and she emigrated to Canada with her previous owner. I purchased her in Canada in 2007 and brought her down to Maryland. She is a super sweet, big girl (17h and 1600+ pounds). She has played My Little Pony at my cousin's birthday party and is a treat to trail ride. In December 2010 Octavia went up to New Bolton at the University of Pennsylvania (the same place Barbaro went) for an evaluation of a persistent draining tract. Basically a recurring cyst type infection on the inside of her far side leg near her stifle. The vets could see no cause of the tract but recommended removing it. We proceeded with a lateral recumbency surgery. Octavia handled it like a champ! And, we can't leave out Ruby! 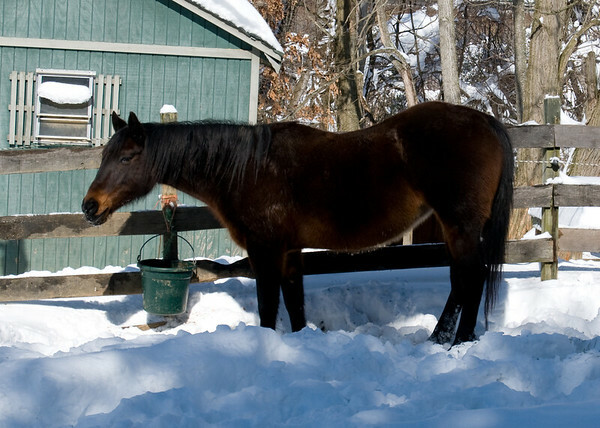 Ruby is a 28 year old registered Quarter Horse mare. She's pictured here after a 3' blizzard in 2010 so, she's not build downhill, she's just standing on a weird snow mound. :) Ruby and I went through Pony Club together and she's now retired and rules the pastures at home. She's all bark and no bite so, she's the perfect companion for young and/or timid horses. She wants to be the boss but she won't lash out at another horse. Ruby had a couple championships in the hunter ring before, during and after her Pony Club days and she could fly through a cross country course or stadium round. 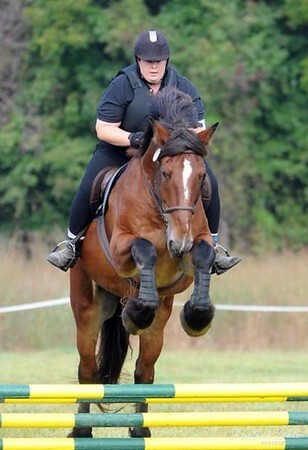 She also enjoys a sedate trail ride when friends are along. She LOVES kids and treats and attention and did I say treats?! 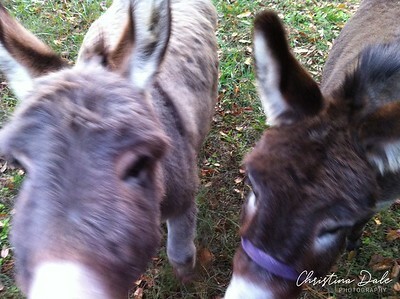 To the left are Lulu and Sophie, rescued miniature donkeys. They think the horses are here to do their bidding and like Pinky and the Brain they have plans to take over the world! To the right is Seamus the famous Boston Terrier. 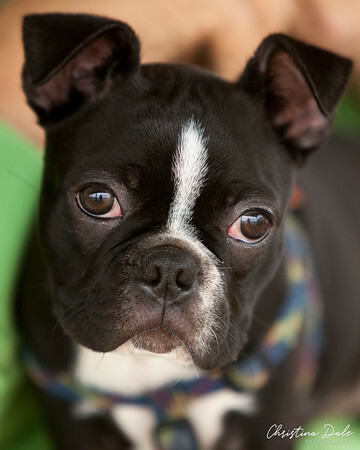 Pictured here at 3 months, Seamus is well known at the dog park, horse shows and on Facebook. 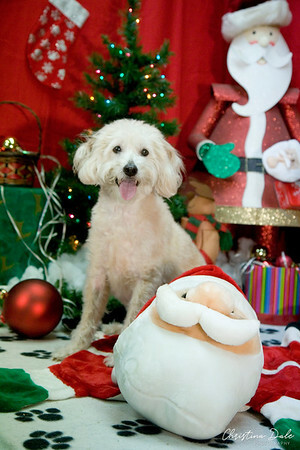 Teddy is on the far right, he's a farm dog rescue poodle x wheaton terrier. He's 15 years young.